modern, contemporary big band jazz, Michael Jackson, Marvin Gaye, Henry Mancini, Stevie Wonder. traditional and holiday programs, too! Ella Fitzgerald, Nora Jones, Donna Summers and many others! Glenn Miller, Tommy Dorsey, Woody Herman.. 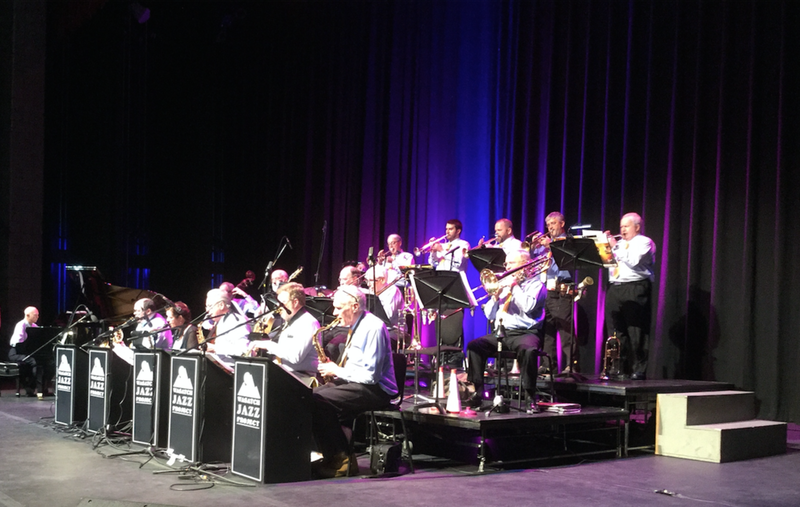 If you'd like to reserve WJP Big Band for your next event, please contact us for more information. We look forward to performing for you at your next event!